Partners: Instituto Tecnológico y de Energías Renovables S.A. and Agencia Insular de Energía de Tenerife (AIET). 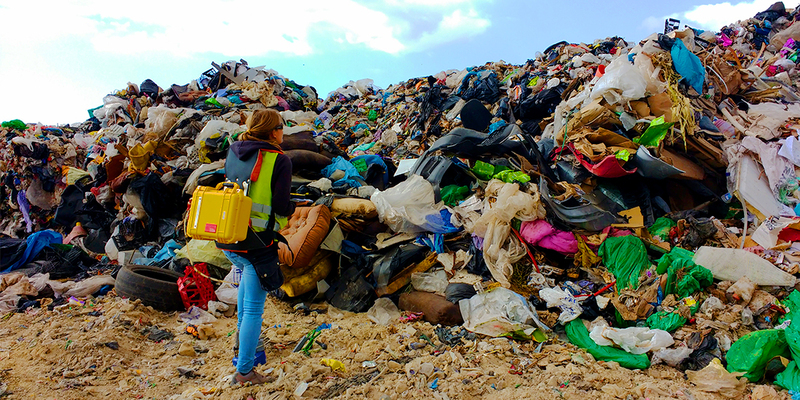 The main objective of this project is to estimate the uncontrolled diffuse emission of methane into the atmosphere from landfills in Spain and the creation of a standardised service applicable to any Spanish and / or foreign landfill to determine these emissions. The realization of this project will have important technical and environmental implications. The results and knowledge derived from this research project will result in the creation of a service to regulate the uncontrolled biogas emission levels for the potential interested landfills, both operational and already closed. Landfills are real chemical and biological reactors that introduce a large number of pollutants into the environment in the form of gases (carbon dioxide -CO2-, methane CH4-, volatile organic compounds – VOC-, etc.) and leachates. In order to control the emission of these pollutants into the atmosphere, biogas extraction systems are installed in the landfills for the recovery of the gases generated by the waste decomposition. However, and in spite of the technical efforts to minimize the gas emissions into the atmosphere, there is a so-called uncontrolled or diffuse emission rate that escapes into the atmosphere through the landfill’s surface. It is necessary to evaluate the efficiency of the gas control systems to know each and every factor that will allow the improvement and optimization of the control of biogenic emissions from the landfills. The studies of the spatial-temporal distributions of the biogas components will provide both information of how the degassing is taking place and advice to the public and private entities on how to establish efficient biogas extraction systems. This is intended not only to minimize the air pollution produced but also to reach higher controlled emission levels that could be translate into higher energy production levels. On the one hand, the estimations of greenhouse gasses, especially the estimation of methane emission by landfills in the Canary Islands, calculated and published in the Spanish Register of Emissions and Pollutant Source (PRTR-Spain) by the Spanish Ministry of Agriculture, Food and Environment are overestimated due to the use of protocols and analytical methodologies based on mathematical models. For example, the diffuse CH4 emission in Arico’s landfill (Tenerife) that appears in the PRTR-Spain for the year 2005 is of 3120 tonnes/year, while studies carried out in the only operational cell of this landfill by the personnel of the present consortium gave an experimentally measured value of 51.1 tonnes/year. This implies that if the estimates of uncontrolled diffuse emission are actually much lower than those estimated by mathematical models, the efficiency of the extraction system is much better than what is being appreciated. On the other hand, methodologies for the estimation of non-methane volatile organic compounds (NMVOC) should be developed given the lack of legislation on landfills. Therefore, a review of these suspicious data is needed.